Amazon has become a haven for online shopping. You can purchase anything on there, from a new computer to a pair of socks. 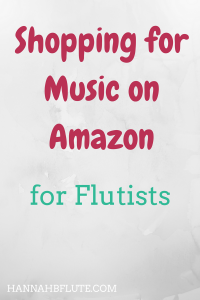 That also means that you can purchase music related items from Amazon. Since you can find just about anything on Amazon, you have to be smart about what you do buy. There are some scams on there as well as some subpar products. In this post, we are going to talk about how to avoid those scams and stick to the good stuff. 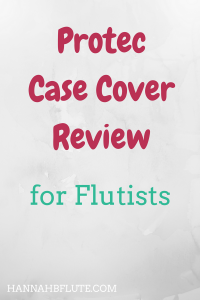 If you have been with me for awhile, you might have seen my first review of this case cover. I wrote that post a few years back, and I wanted to write an updated version for you all. Protec is a company that makes cases and covers for a lot of different instruments. They have cases and bags for woodwinds, brass, strings, percussion, and more. 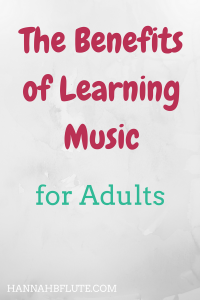 There are many benefits to learning music, no matter your age. But a lot of people believe that you can’t learn how to play an instrument as an adult. I’m here to tell you that that is not true. If you have the drive and the passion, you can learn (or re-learn) an instrument at any age. In fact, there are even a few benefits to learning music later in life that younger students lack. If you are a busy person, working a day job in addition to playing music, you need to stay organized. The way many people stay organized is with a planner. A common planner system is the paper planner. 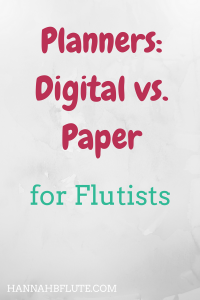 With the advancement of technology, there has also been an increase in the number of digital planners. From Google Calendar to iCal, you can keep track of appointments on all of your devices.